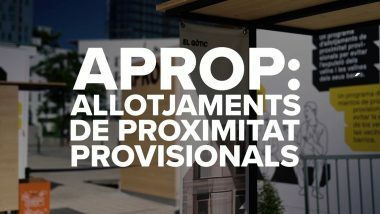 Three sites have been set aside in the neighbourhoods of El Gòtic, La Bordeta and El Parc de la Llacuna del Poblenou for APROP provisional housing, a new model of quick-build temporary flats offering sustainability and quality, and which should boost the city’s housing stock and prevent neighbourhoods residents being driven away. 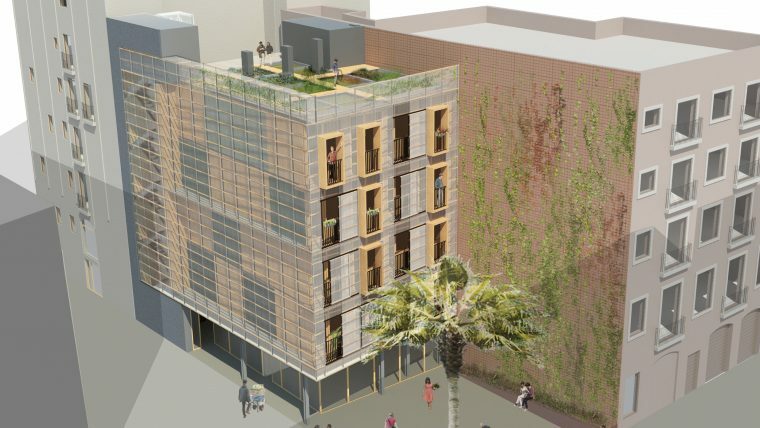 The first APROP buildings will be a reality before the year is out, via a pilot scheme in the three districts where gentrification is a major problem. The plan is for the initiative to gradually be rolled out in all city districts. 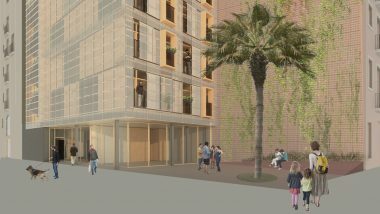 The blocks will combine different resident profiles, catering for people on the waiting list for protected housing and those in emergency housing situations. The initiative has already been shared with the ITeC, the Federation of Barcelona Residents’ Associations (FAVB), the Fundació Hàbitat3 and other bodies, and has the backing of the Barcelona Council for Social Housing (CHSB). The project does not replace permanent blocks planned, which by the end of this term of office will represent a total of 4,000 homes either built or under construction. The sites for the homes were announced at a joint meeting with various entities and representatives from Amsterdam and Munich.